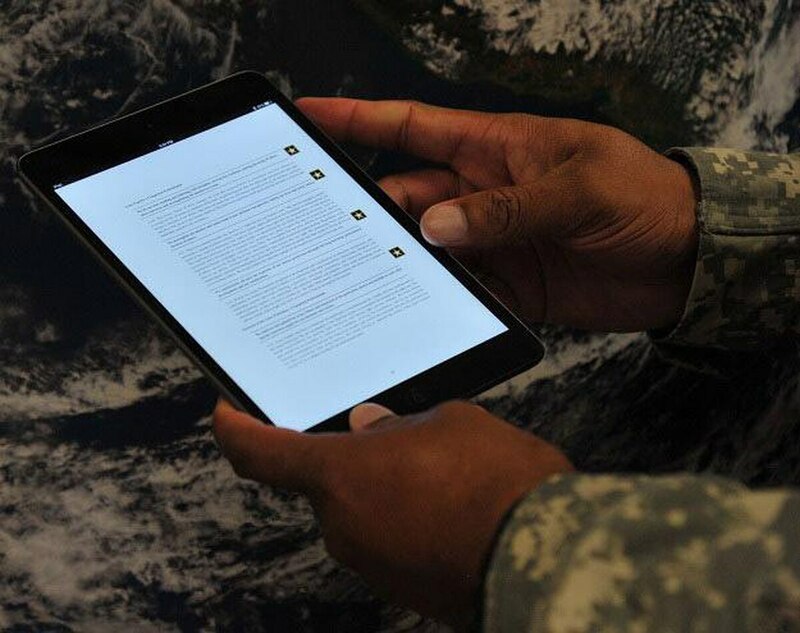 The Defense Information Systems Agency is expanding a pilot program introduced earlier this year, offering wider availability of classified tablets across the Department of Defense. What started initially as 25 tablet devices fielded to senior military leadership now will be made available beginning in February, according to Jacob Marcellus, DISA mobility portfolio manager. “That pilot was so successful … I’m getting probably about 25 emails a week asking for these devices,” Marcellus said Nov. 6 at the annual DISA Forecast to Industry, held in Washington. 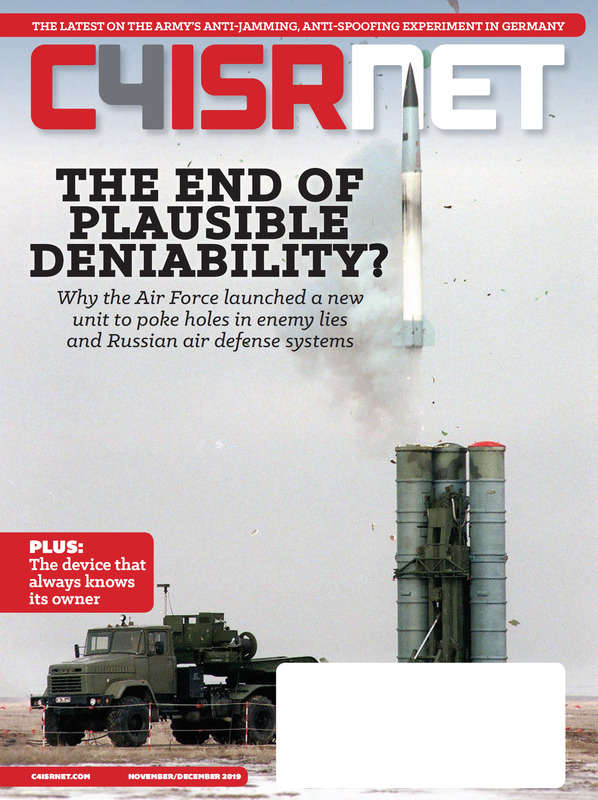 The classified tablet pilot, known as DoD Mobility Classified Capability-Secret, or DMCC-S, is part of the broader Commercial Solutions for Classified program run by the National Security Agency. It’s also just part of DISA plans for expanding commercial mobility across DoD. DISA oversees a significant slice of mobility management for the military, running DoD’s largest mobility management program with more than 100,000 users, Marcellus said. He pointed to the classified tablet program as a prime example of how DoD users do business: at various locations, different times of day, outside of traditional offices confines and hours. To support that shift mobility must expand, he noted. “No one works a nine to five anymore … this program proves they can be effective while traveling” or otherwise away from traditional desktop computers inside government buildings, Marcellus said. DISA in the coming months will be re-competing contracts for classified and unclassified mobility management. A request for proposals for Mobility Enterprise Services – CLASSIFIED is expected in the first quarter of fiscal 2018, with a contract award expected in the third quarter. Meanwhile, an RFP for Mobility Enterprise Services – UNCLASSIFIED is expected in the second quarter of fiscal 2018 with a contract award slated for first quarter 2019. In both cases, flexibility and innovation clauses will be an area of emphasis in the contracts as the agency looks to capitalize on emerging technologies and demands, Marcellus said. “As we continue to enhance capabilities, modern information technology will continue to join forces with cybersecurity to provide situational awareness and create a manageable battlefield communications infrastructure,” Leticia Parra, DMCC-S tablet pilot program manager, said in the August release announcing the program.